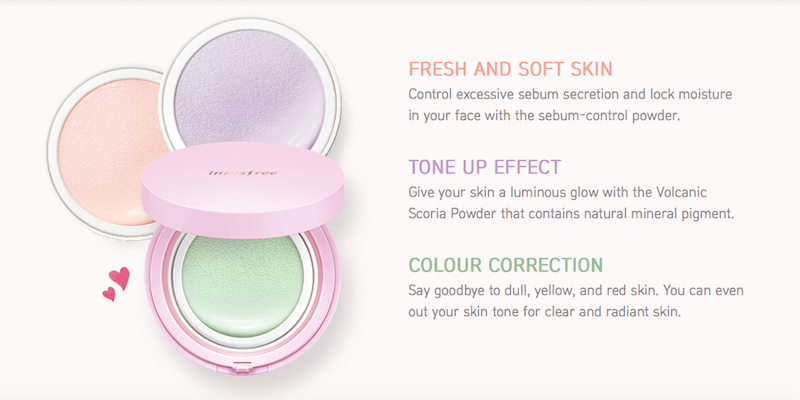 Hello Sweeties♥ Is me again and here's a quick and short #Tried&Tested review on this Innisfree New No-Sebum Correcting Cushions. It's available from 1st March onward and I get to try this during the official launch of the innisfree event few days ago. Wanted to try this so much because it's what getting really famous and popular in Korea and suitable for people who suffer in uneven skin tone. So this is a special cushion that designed for them and it's time to say bye bye to uneven skin tone and a hello~ to radiant skin. I tried the purple shade few days ago to film a youtube video (still editing and coming soon on my youtube channel click here) and realise that it really brighten my at least 1-2 tone brighter than my current skin-tone. (As you can see from the photo above) I'm really surprised with the texture and the overall outcome. This is why I took a before/ after photo here. 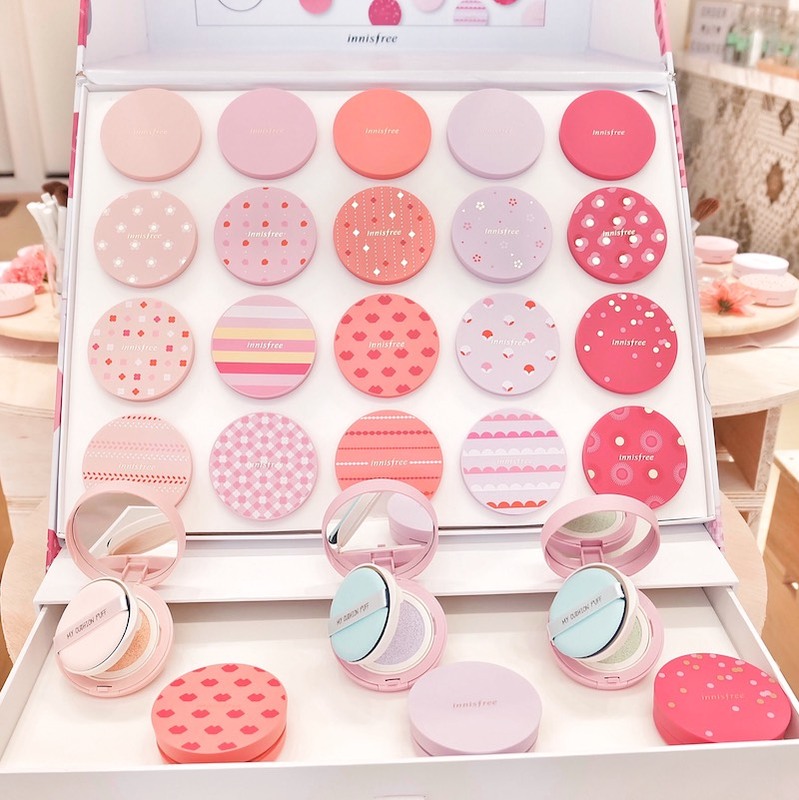 Will talk about the product itself soon and now let me show you some of the photo I took during the official launch of this correcting cushion. Loving the decoration during the event. 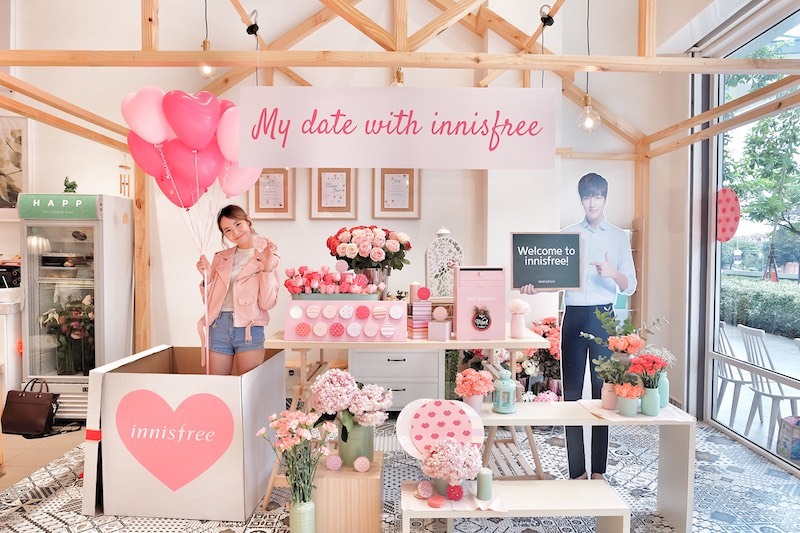 Innisfree always tend to steal my heart away especially the activities, game and special surprise they prepare during each of the event. I think this theme suit me a lot! HAHAHAHA It's my favourite pastel series color and did you spot something there??? Yes~ you are right!! The 20 brand new and sweet My Cushion Limited Edition Pink Cases which only available in this month!! So here's the cushion case that I win from the game during the launching event! Also, the limited edition cushion sponge! Everything is just soooooooo me!! Let me introduce you the New No-Sebum Correcting Cushion with SPF34 PA++ for a soft and radiant make-up look. So there are 3 shades available. It's peach , purple and green colour and each of it help to solve diff kind of uneven skin's problem. First I tried the purple one because I wanted to see whether it's really work on my skin or not and surprisingly it works! 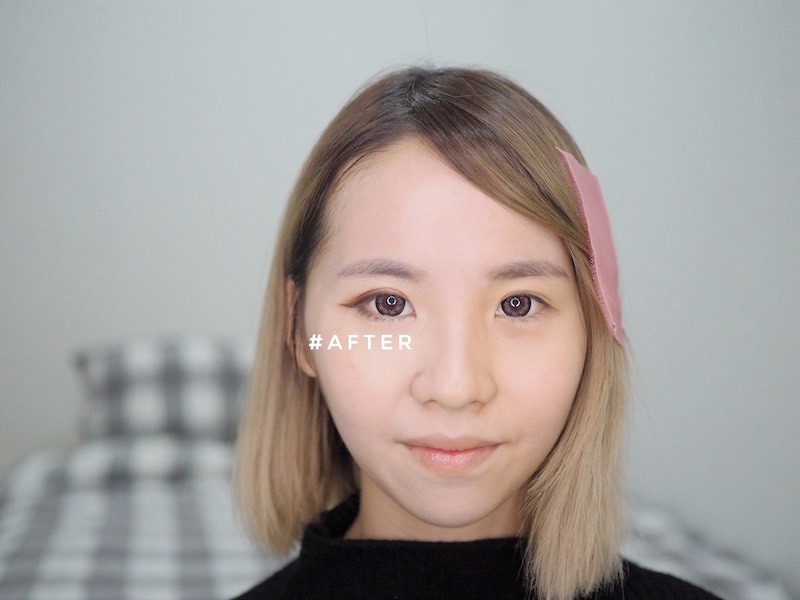 I tried the canmake tone-up compact powder before (in purple shade too) and this is similar with that but just the texture distinguish each other. It's depend on whether you prefer cushion or powder. For me I think cushion is much more easy to apply and more moist than a powder. But still if you tend to have more oily skin the powder form might works on you than this. While if you have a dry skin then go for cushion because it's more moist and easy to apply! P/s: Cushion is a foundation that is soaked into a sponge and it's more lightweight and watery than a liquid foundation. So long story short, it's the 3 main highlights of this product. It's mainly use for color correcting purpose, for tone-up effect to achieve a whiter and younger skin & last but not least, to make your skin look radiance and fresh! It comes in a compact case with a puff sponge applicator, making it more convenient to take along in your handbag. The application method is super duper easy. Just like other cc cushion! Swipe over skin, then dab dab dab! Remember to use dabbing method ya. When using moist bases like liquid, cream or cushion foundations, always apply concealer after foundation. 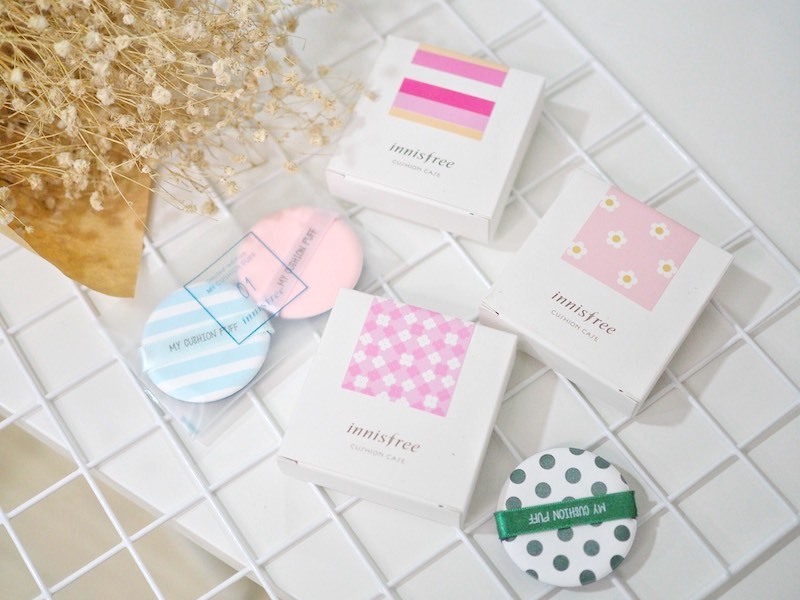 It's not a rare occurrence for me to fall completely in love with a beauty product but most of the time I love Innisfree product. The packaging, product quality and outcome of it definitely melted your heart. This purple one really brighten up my skin but there are some pros and cons on each / every product right..so I'm going to review the purple one for you guys!! Pros:- Easy to use , brighten-up at least 1 or 2 tone of your original skin color , attractive and eye-catching packaging, really even up your uneven skin tone , reasonable price only RM52 for the cushion itself. In conclusion, for people who wish to get a minimal coverage cushion + looking for something that can even up your uneven skin tone, then this is the right product for you! But if you having acne skin and wish to cover up your skin with this product then this is not something for you, so maybe you can take a look on other cc cushion instead of this. So far I won't use this everyday because I still prefer to have something that can cover up my dark circle but if you are looking something that really helps to brighten up your skin then you can get this + use additional concealer to conceal your dark circles or pimples.The staying power is around 5-7 hours indoor will be fine. So here's my half naked comparison photo for your reference. 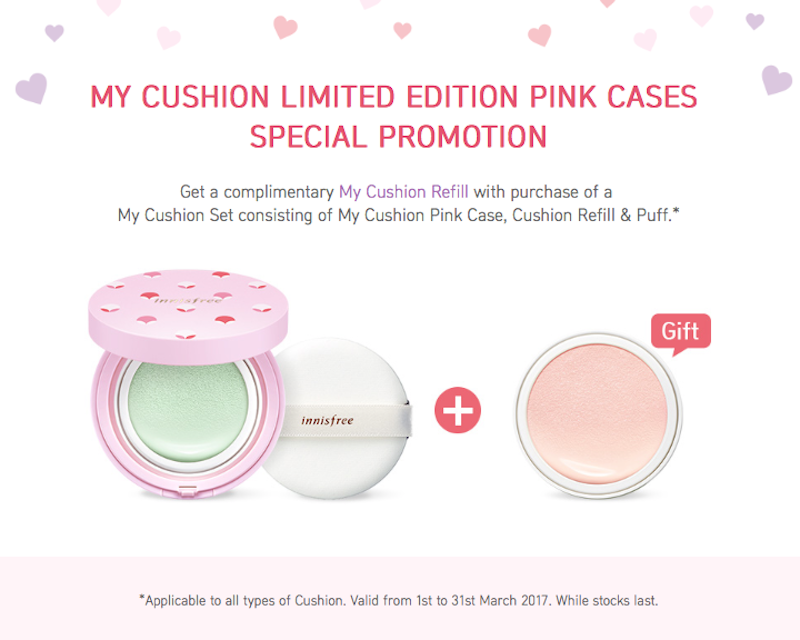 Hope this can post can give you a idea before you purchase the new no-sebum correcting cushion from Innisfree. I think it's quite helpful for you :p Am I right!! 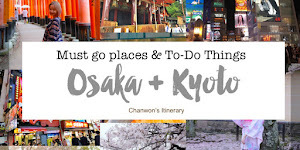 So you guys won't regret on reading this post. AHHAHAA That's all for today. 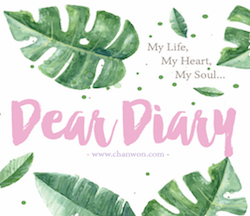 Enjoy reading and see you on my next post!